Using dry ice is a relatively inexpensive way to create temporary smoke effects for theater productions, movies or Halloween events. Dry ice is frequently used in Hollywood to create smoke and fog in movie scenes. If you plan ahead and exercise caution when handling your dry ice, you can easily create the spooky atmosphere you want. Order your dry ice ahead of time to make sure you’ll have it when you need it. You can locate dry ice by searching the Yellow Pages for ice distributors, or calling ice cream shops or seafood suppliers. Pick up your dry ice right before you need to use it for your party or theater scene. Bring an insulated container to store it in, and always use thick gloves or tongs to handle it. Once you have the ice in the container, avoid moving the cooler around or opening and closing it more than you need to. 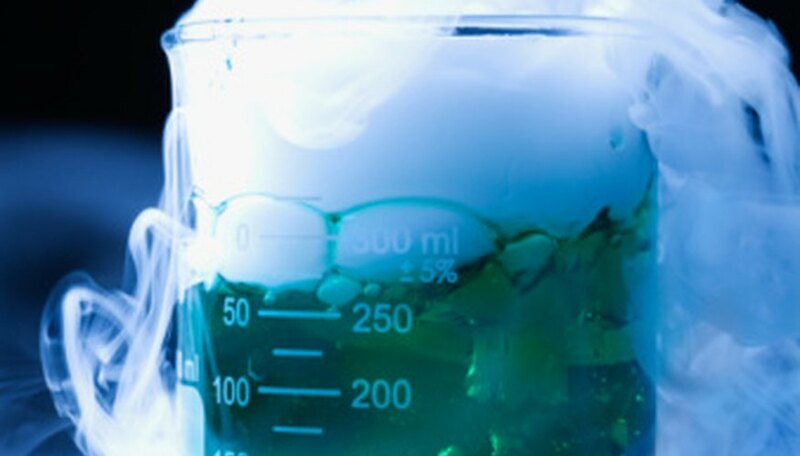 Place chunks of dry ice in a water tight container, such as a cauldron or punch bowl, when you’re ready to use it. Remember to use gloves or tongs when handling it. Cover the dry ice with water. Warm water will produce more fog, but will melt the ice faster. Cold water will produce a less fog, but the ice and fog will last longer. Touching dry ice with your bare hands can cause severe tissue damage. If using dry ice in a punch bowl, warn your guests not to touch the ice or put it in their cups.